SaniClean is the low-foam version of Star San. With a contact time of 2-3 minutes it is not as fast as Star San, but works as well. You also have to use twice as much, 2 oz per 5 gallons, for the same effect. However if you are using a pump it is the right choice. 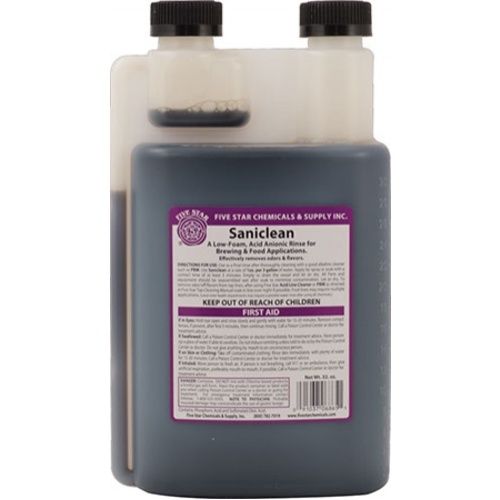 SaniClean is also known as a flavor and odor removal, making it the perfect choice for acid rinsing your dispensing equipment. Made by the same company that makes Star San and PBW and packaged in the same easy to use container as the 32 oz Star San.